Kerry and the restorative effort! The Friends of Dreamland are grateful to the employees at Arkansas' Flag and Banner for having been such great sports about the renovation process over the years. 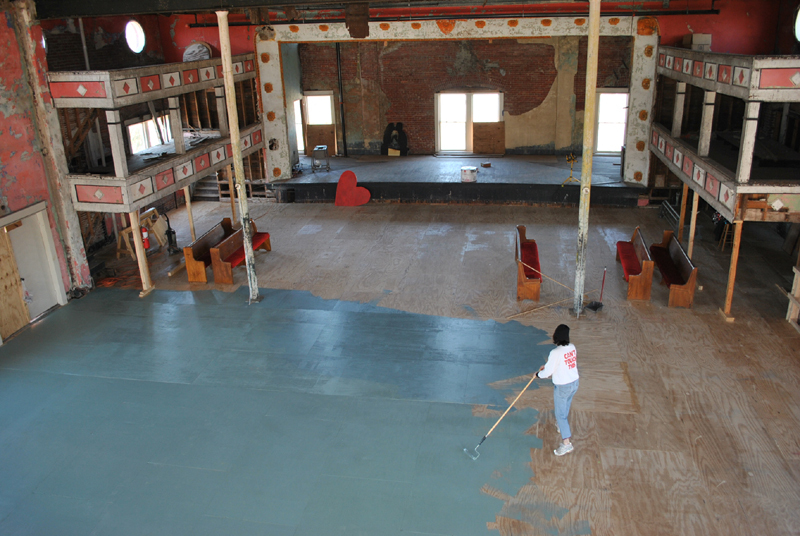 There is still much more to do in the future and rather than being resigned about future construction projects, the employees are excited about the future of Taborian Hall and the Dreamland Ballroom. 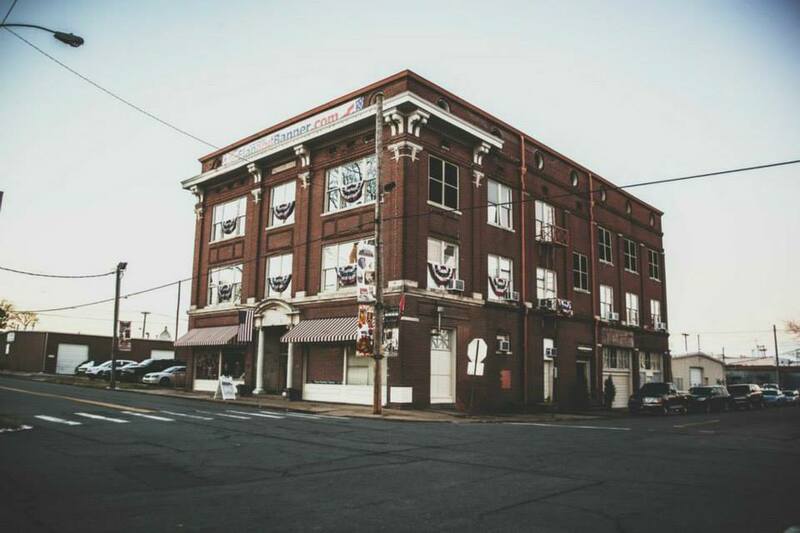 To learn more about the history of this amazing place come take a tour! Follow us on Facebook and Instagram to learn about when the next scheduled tour is or contact us to schedule a group tour. You can also purchase a book from the building’s primary tenant and benefactor, FlagandBanner.com. 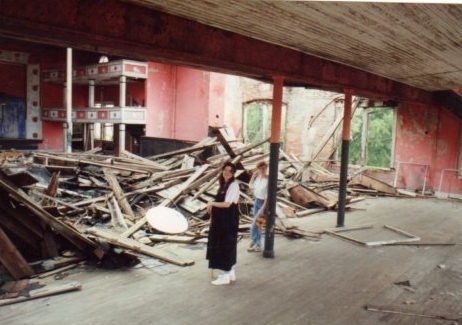 “The Dreamland Ballroom has been a part of my life for the whole of my life. 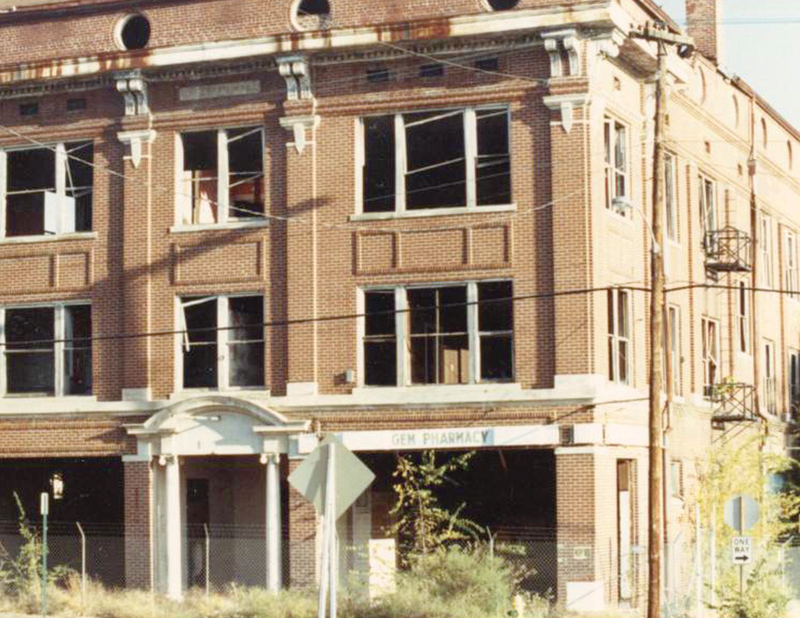 Kerry McCoy bought the building in 1990, the year I was born. By the way, my name is Matthew McCoy, I'm the Executive Director of the Friends of Dreamland, an employee of Arkansas Flag and Banner, and middle son to Kerry and Grady McCoy. 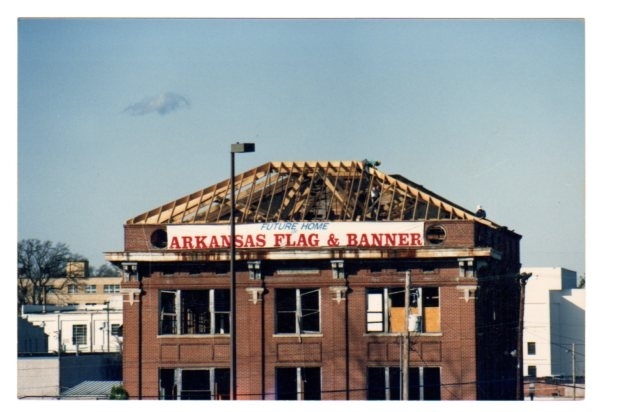 Growing up, I took the third-floor ballroom of the Arkansas Flag and Banner building for granted. A big old room. Beautiful? Sure, but ultimately my parents’ work place. The place I spent those incredibly boring days in anyone’s childhood, when school wasn’t in session, your parents still had to go to work, and you had to find some way to entertain yourself. And be quiet about it. Luckily for me and my three other siblings, we had this big, empty, kind of dangerous ballroom to help whittle away those hours that seem to go on forever when one is that young. 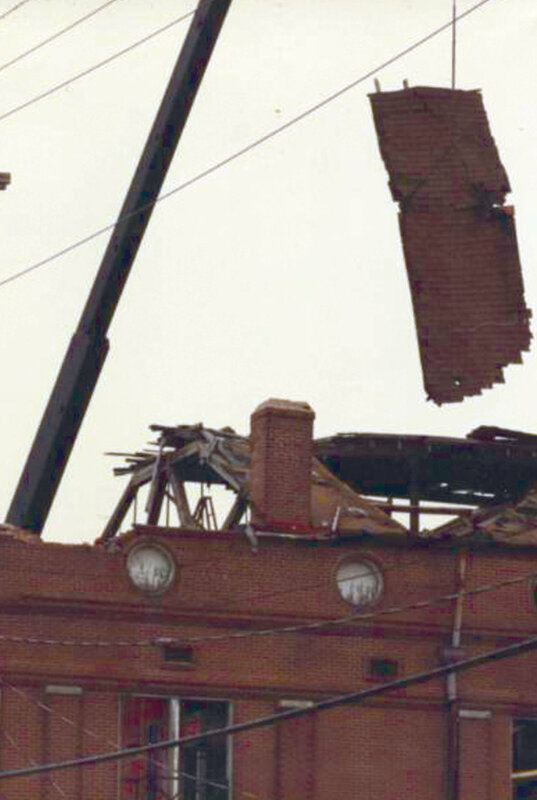 For most of my life, I remember the first two floors of the building being intact. I remember people working at desks, having meetings in meeting rooms, long tables dedicated to sewing large flags, screen printers, digital printers, all the hustle-and-bustle of a work place. But the top floor was empty and quiet. 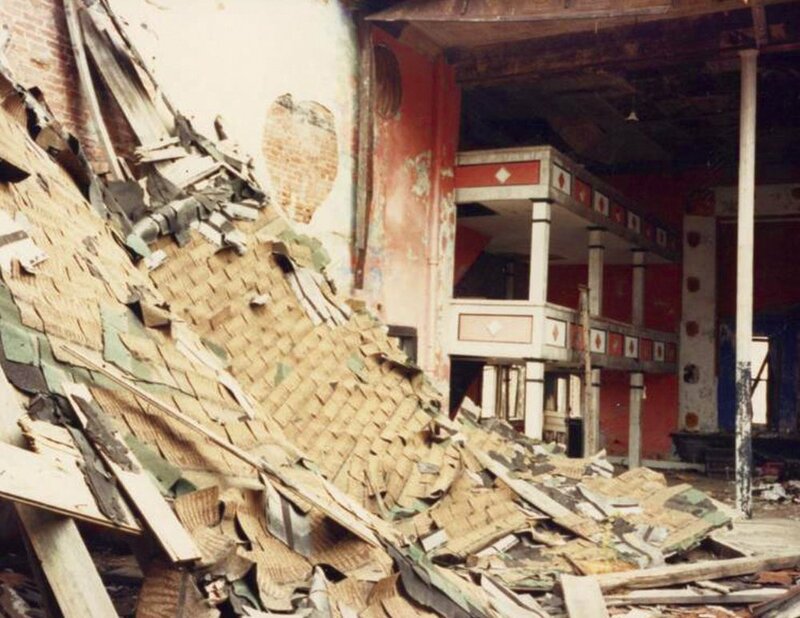 The floors were not reliable, the safe spots denoted by colored flag scraps, and the mezzanines held up by two by four "columns" wedged into place. 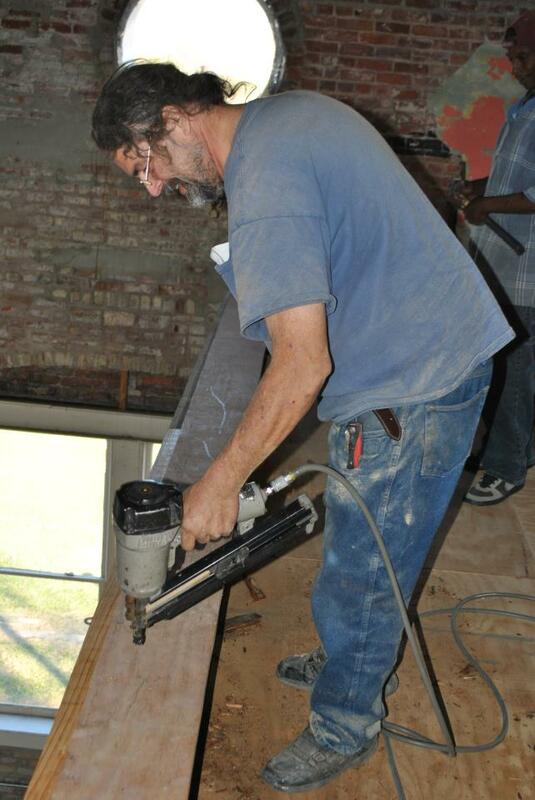 Around 2009, Kerry decided to take on the renovation of the third floor. 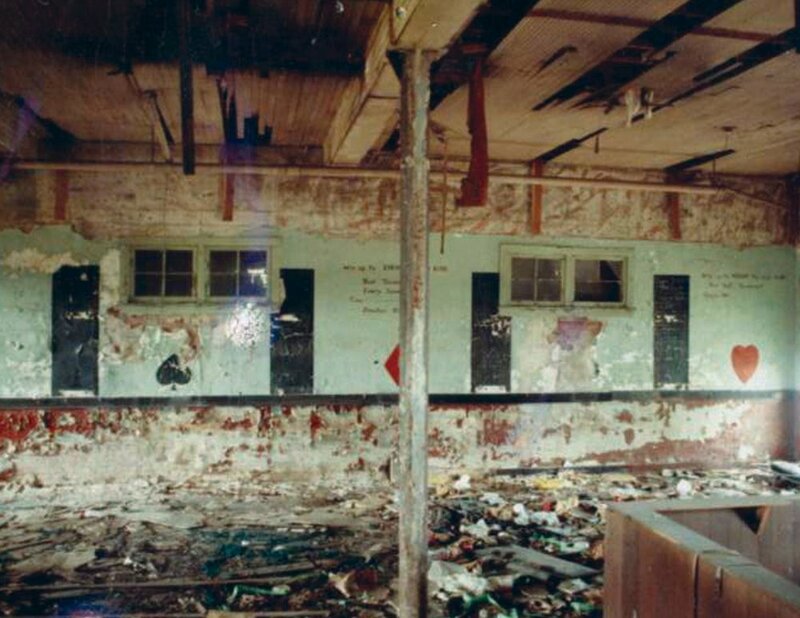 Unable to acquire a loan, due to the unmarketable nature of a vacant, borderline decrepit, old room, she founded the non-profit Friends of Dreamland (FOD), dedicated to the restoration of the Dreamland Ballroom. This status made grant funding available and donations possible by other old building buffs like my mom. 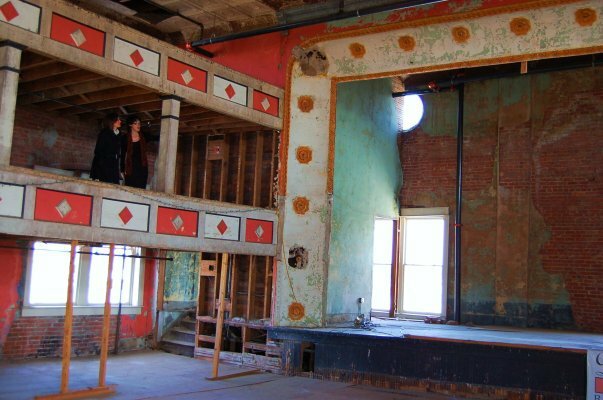 However, the ballroom restoration was a bigger task than anyone anticipated. But its potential was even bigger. In 2012, FOD hosted their annual fundraiser, Dancing into Dreamland, in the ballroom for the first time. The previous years' fundraisers had been held at the Little Rock Governor’s Mansion. It didn’t take long for the Board of Directors and Kerry to find one very large problem with hosting any event in the historic space... no elevator. Not being ADA compliant, the liability that FOD, Arkansas Flag and Banner, and my family assumed every time there was an event in the ballroom, regularly put my parents into near-cardiac arrest. So, eventually, Dancing into Dreamland was the only event we continued to host in this incredible venue. In February of 2017, I moved back to Little Rock after attending college in Fayetteville, Arkansas and began working at the family flag shop. The ballroom’s condition had improved from when I was in high school. Being slightly more mature, I realized that untapped potential my mother always talked about. I began to familiarize myself with the history of this place and this district of Little Rock, and I was blown away. Like many of the people in the area, I had no idea what a jewel this building was to downtown Little Rock, although I had much less of an excuse— essentially being raised in it. The Friends of Dreamland was doing a great job slowly restoring and maintaining the space, but the time had come to expedite the process. A friend and fan of our non-profit contacted us in the spring of 2017 about a grant, a grant that had Dreamland written all over it: a Civil Rights Preservation Grant awarded by the National Parks Service. I knew this was my chance. I volunteered to do all the paper work, facilitate meetings, contact contractors to make bids and manage files, anything to make it happen. With the help of an amazing team of people, we applied in October…the day the grant application was due! After that, it was all waiting and hoping. Partially funded by the African American Civil Rights program of the Historic Preservation Fund, National Park Service, Department of the Interior. Any opinions, findings, and conclusions or recommendations expressed in this material do not constitute endorsement or necessarily reflect the views of the Department of the Interior or U.S. Government.